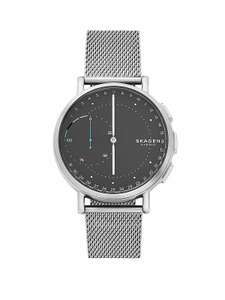 Very have a number of Skagen watches discounted including some of the smart watches all with delivery in time for Christmas. The newer Jorn models were £120ish the other week directly from Skagen. I'd probably wait a few more days, price should drop on these. I got one of these with a white face and blue band for $60 in TJ Maxx last week. I got one of these with a white face and blue band for $60 in TJ Maxx last …I got one of these with a white face and blue band for $60 in TJ Maxx last week. Would this be TK Maxx's brother ?